- Exterior features colorful and charming design, fashionable and easy for carrying. - Store your eyeglasses in this case and never fear losing or breaking them. - Perfect for standard sized eyeglasses, small sunglasses, reading glasses. - Durable metal and artificial leather material, easy to clean. 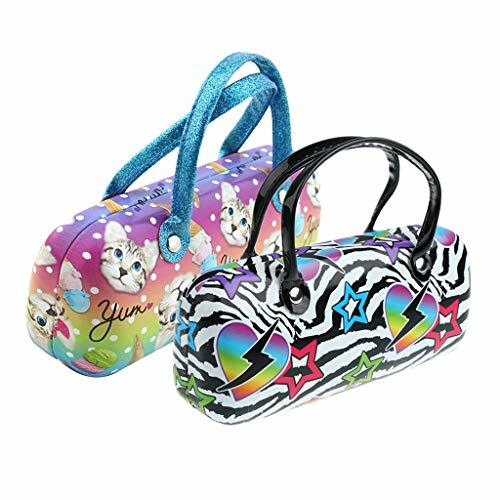 * Exterior features colorful and charming design, fashionable and easy for carrying. * Store your eyeglasses in this case and never fear losing or breaking them. * Perfect for standard sized eyeglasses, small sunglasses, reading glasses. * Durable metal and artificial leather material, easy to clean.